He is facing a life sentence. 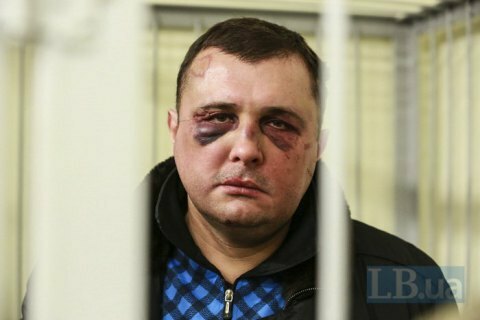 The Military Prosecutor’s Office has said that the murder of Col Roman Yerokhin from the Interior Ministry’s department for fighting organised crime on 26 July 2006 was ordered by former Ukrainian MP Oleksandr Shepelev. The ex-MP was officially declared a suspect in the case on the morning of 4 July. According to Chief Military Prosecutor Anatoliy Matios, Yerokhin was killed in revenge for his professional activities. “Yerokhin exposed a money laundering centre working on the basis of a commercial bank in Donetsk, whose end beneficiary was an MP. Thanks to Yerokhin’s group, the laundering centre was shut down, and three people were brought to criminal account,” Matios explained. According to investigators, Shepelev personally hired the killers and provided them with weapons. On 26 July 2006, Yerokhin was kidnapped in Kyiv and killed inside a passenger car provided by Shepelev. His body was buried in a wood outside Kyiv and the car was burnt down. According to Matios, Shepelev had planned more contract killings but they have not been carried out.